Journey by coach to Prague and spend three nights at one of the city hotels. Spend the morning exploring Prague in all its Gothic glory on a guided sightseeing tour. 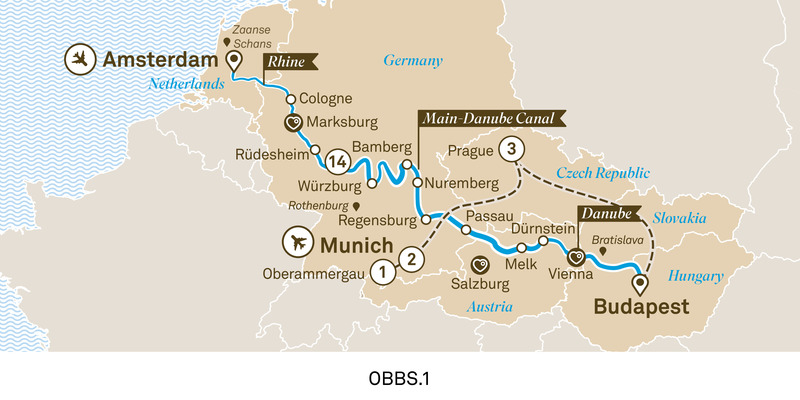 Travel through Bohemia and Bavaria to reach the German city of Munich. Upon arrival explore the capital of Bavaria, Munich, with your expert local guide who’ll help you discover the wonder of this fine city, including the Marienplatz, Glockenspiel and Viktualienmarkt.